BRAHIM’s Holdings Bhd is looking for potential joint venture partner or buyer for its catering arm Brahim’s SATS Sdn Bhd, according to executive chairman Datuk Seri Ibrahim Ahmad. Pix courtesy of Brahim’s. 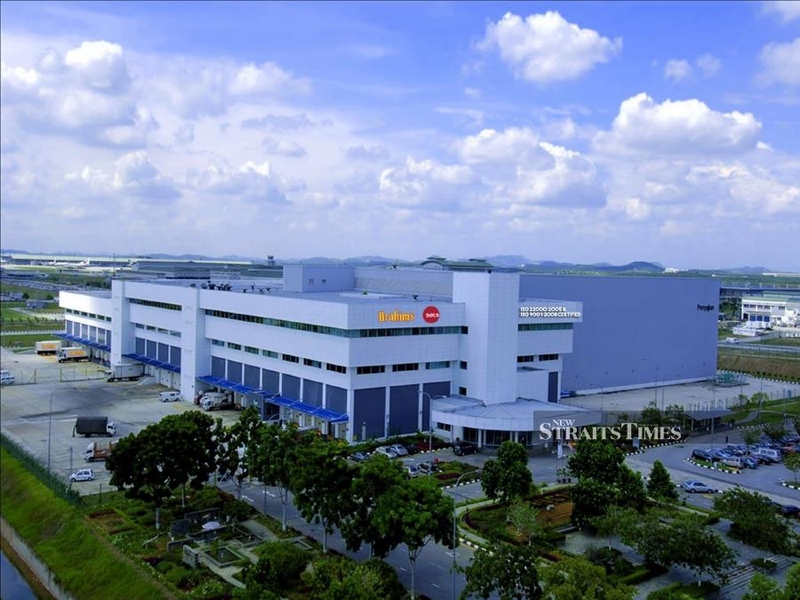 KUALA LUMPUR: BRAHIM’s Holdings Bhd is looking for potential joint venture partner or buyer for its catering arm Brahim’s SATS Sdn Bhd, executive chairman Datuk Seri Ibrahim Ahmad said. He said Brahim’s was willing to sell up to a majority stake in Brahim’s SATS if the offer is good. “We are supposed to make our first announcement on the corporate advisor this month and we are now talking to a few companies to get a few white knights due to our PN17 status. “We are in talks right now with about five local and foreign companies and we are looking for the right fit for the company. If possible we would like to remain as a food company as halal food is considered our flesh and blood and we plan to conclude this within this year,” he said in an interview recently. Ibrahim said the company was still reeling from the after effect of the twin disasters (MH370 and MH17) which resulted into the implementation of the MAS Act which cut the amount MAS owed to it by RM74 million, besides having a 30 per cent discount on the meals provided. “Partly why we are in the PN17 is due to the aftermath of the disasters after which we were crippled by it. But the fact is we can do it in the first five years, we could do it and we have proven it but we are restrained by the the new MAS Act and the contract,” he added. Earlier last month, Brahim’s said it plans to exit PN17 status within this year. Ibrahim said the company would come up with a comprehensive plan, which would include strategic discussions with partners to review its capital and business structure. MAS Catering was taken over by Brahim’s Airline Catering (BAC) in an agreement in 2002. BAC paid RM170 million for a 70 per cent stake in MAS Catering, which also had RM240 million in accumulated debt at the time. Brahim’s subsequently acquired the national airline’s inflight services with LSG Skychefs in November 2003 with a contract of 25 years. In 2013, Brahim’s said it was making upward trajectory to become a billion dollar halal company by 2018. It reportedly considered taking over fast food chain Burger King, as well as acquiring a sugar licence and buying over an Australian beef company to get a consistent supply of halal meat. The company, however, faced challenges after MH370 and MH17 tragedies occurred in March and July 2014.